30 Finalists will be chosen and posted on our Facebook wall March 6th. 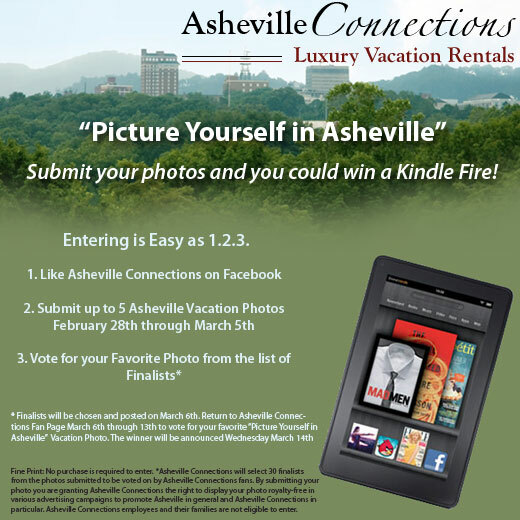 So make sure you take a look at Asheville Connections Fan Page and cast your vote March 6th through 13th. The winner with the most likes will be announced Wednesday March 14th at Noon. We will also be giving away a $50 iTunes gift card for the runner up. So what are you waiting for? Get out there and Post!